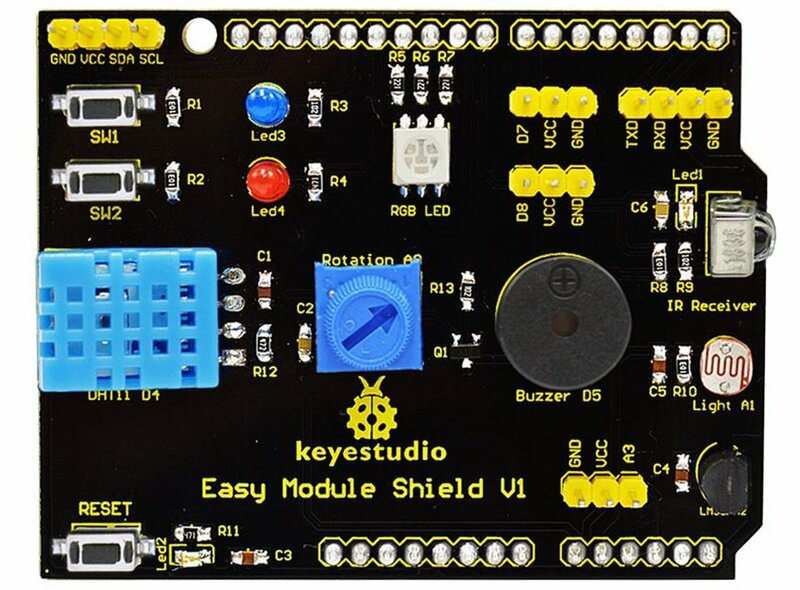 Here is a picture of the shield, you can clearly see the various parts mentioned above. 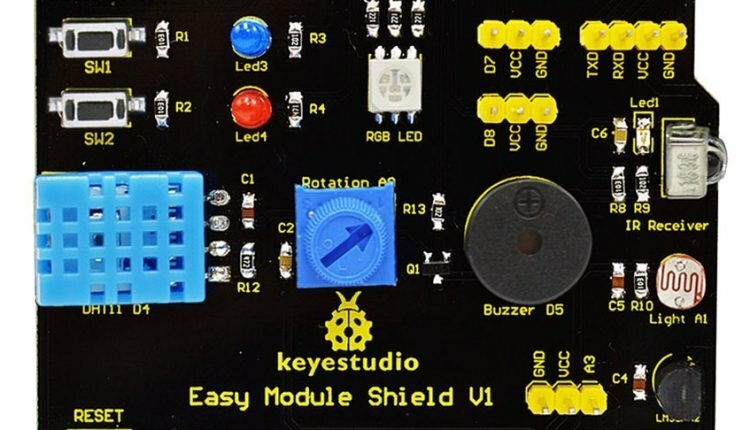 The Easy Module Shield has a common cathode RGB LED fitted to it, this uses pins D9, D10 and D11. 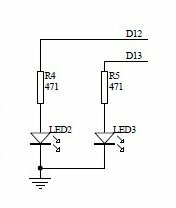 As this is a common cathode type then a 1 (HIGH) will switch an LED on and a 0 (LOW) switches the LED off. Ther eyou go we haven’t covered the buzzer, DHT11 (couldn’t remember the library we used) or IR receiver. See if you can create examples for these components. We will create a part 2 later.